2. Mont Blanc, France-Italy: 4 807m (15 771 ft). Largest Lake: Lake Balaton Hungary, largest lake of Central Europe, 592 km2. 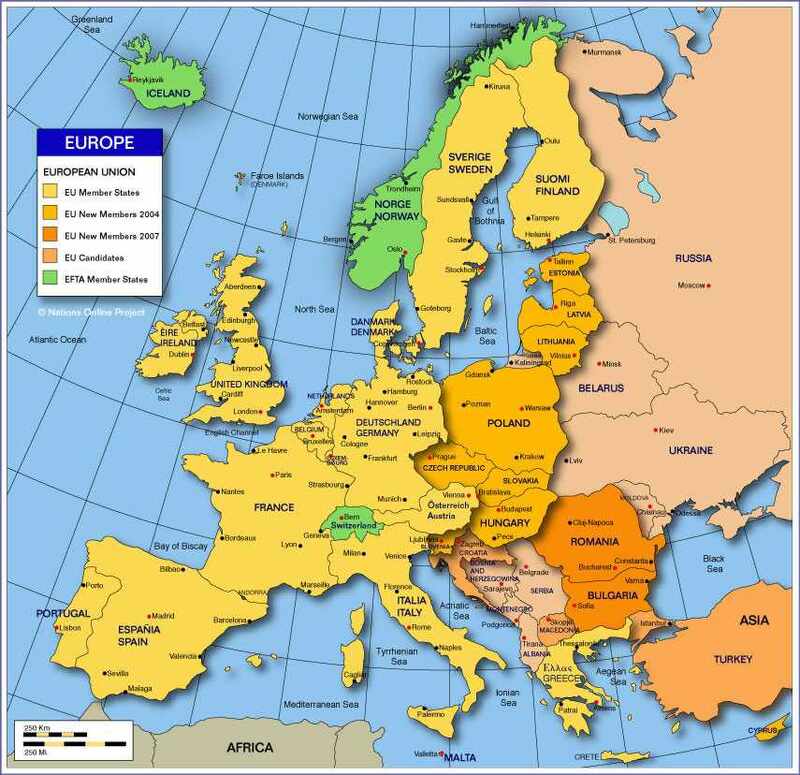 Languages of Europe: English, French, German, Greek, Italian, Spanish, Portuguese, Nordic Languages, East European languages.